but until late September, I never saw even one caterpillar in my yard. 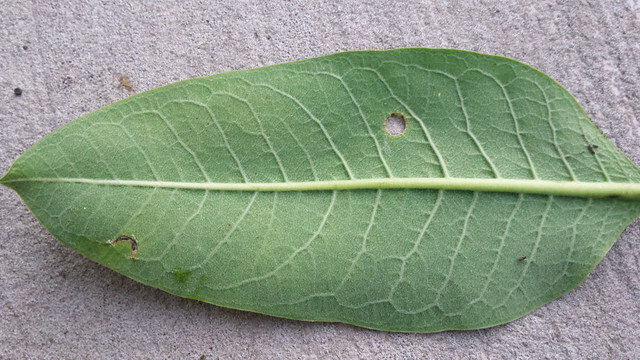 After last summer’s excitement of fostering 13 caterpillars over two generations, this was disheartening, especially after bad news about the freak March snowstorm that killed many monarchs in their overwintering habitat in Mexico. 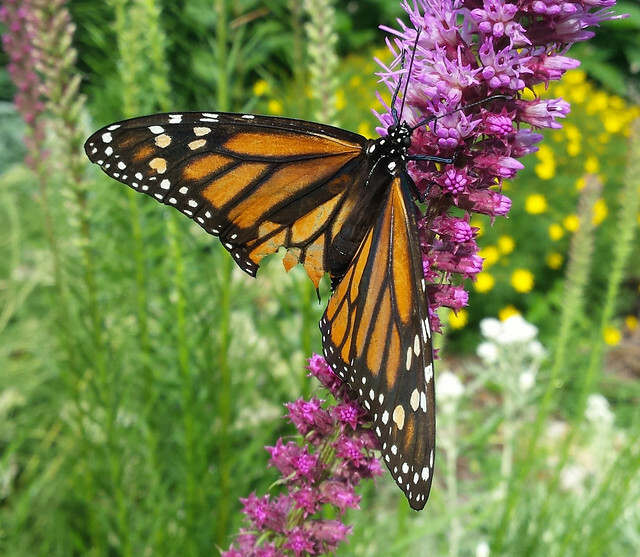 But I tried to stay positive with news from real friends and internet friends about monarch and caterpillar sightings in the area, even though I was seeing fewer butterflies than last year. The reports seemed to be more numerous as the migration generation was growing. and my first-ever viceroys! 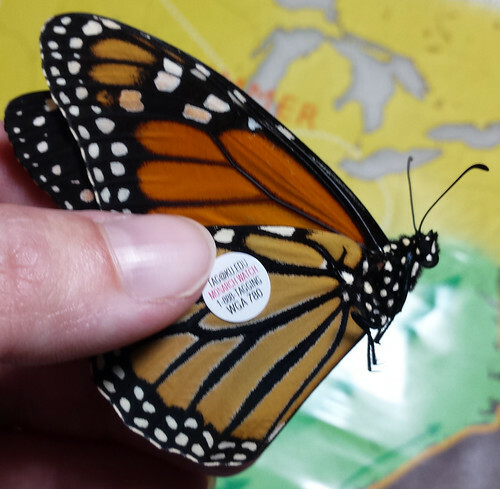 Such a convincing monarch mimic. 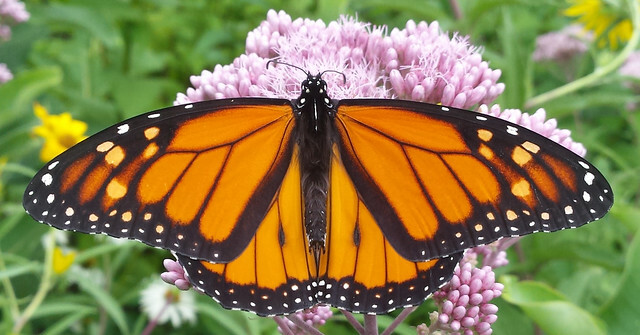 This butterfly is much smaller than a monarch, though that’s not obvious unless comparing them side-by-side. 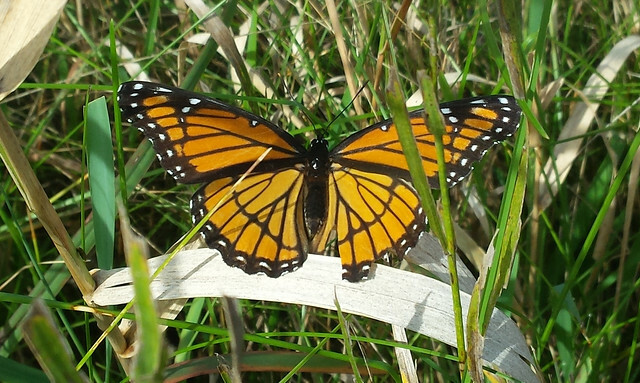 The biggest visual difference is that viceroys have a black line through their lower wings, while monarchs do not. In the end, I caught five, though two escaped, so I tagged three. And then – on the first day of autumn – I found a caterpillar in my front yard, moments away from beginning its transformation. 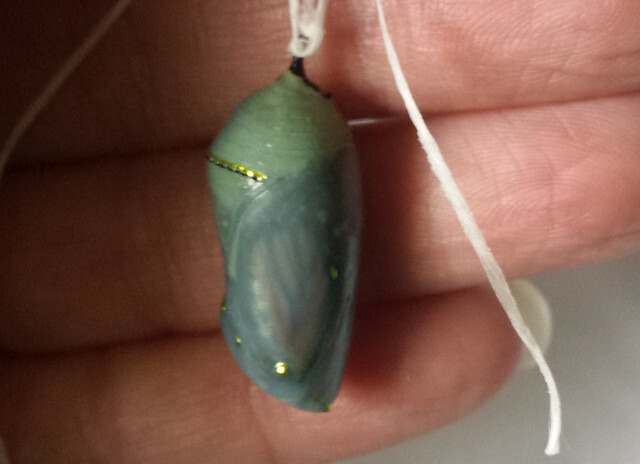 I brought it inside, where it created its chrysalis. It stayed that way for two weeks, to the point where I was getting worried that the process had failed. But then, the green darkened to show wings forming inside. 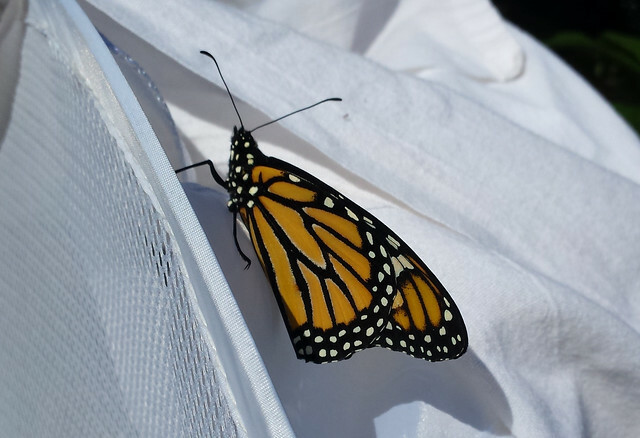 The butterfly emerged the next day, but I wasn’t home until the evening and so I decided to keep him inside overnight. Then next afternoon he was so antsy to get outside that he climbed out of the (nonsecure) mesh cage (really, a laundry container without a top). Fortunately, I had anticipated this and covered it with a towel, so he didn’t escape. But the release day was chilly – barely 50 degrees even though it was sunny – and I wondered if he felt tricked when I took him outside; he was suddenly in no hurry to move. 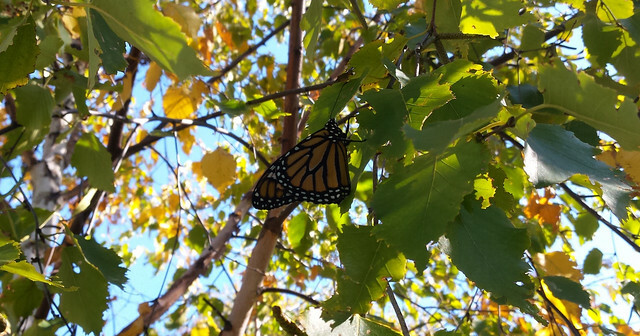 After I let him climb onto my finger, he flew right up to a tree, like all of last year’s monarchs did, but this one perched in the shade. I knew he was not going to warm up there, so when he was still there an hour later, I climbed up a stepstool and took him down to find a better spot. 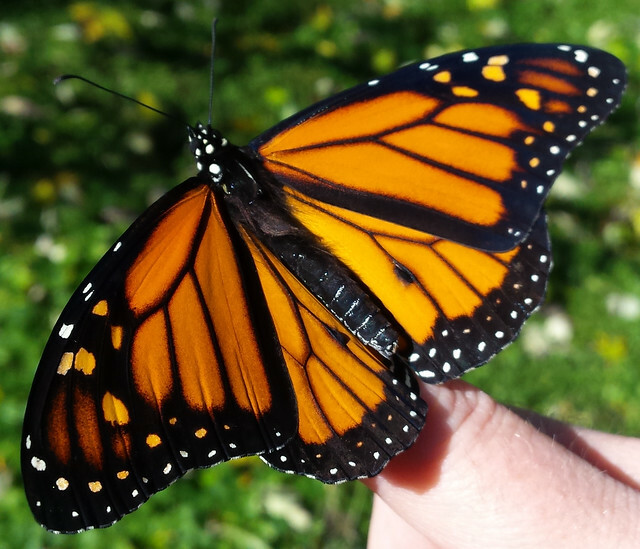 The backyard was somehow much warmer, so he rested on my finger for a few minutes while his wings warmed up, and then away he flew. 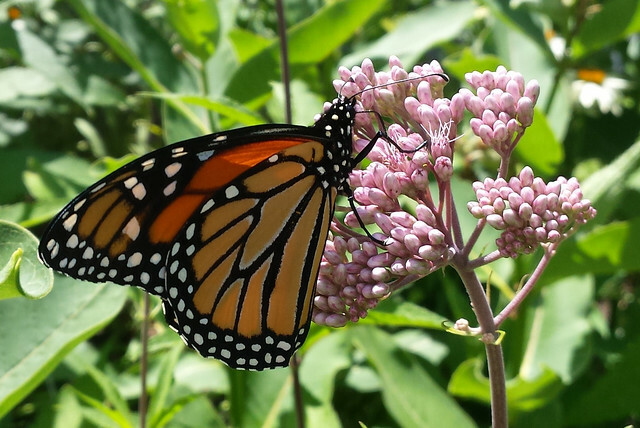 I’m thrilled to find out that our common milkweed still attracted monarchs late in the season, when it didn’t look so good anymore. This year we added three other types of milkweed as small plants in the backyard garden, and hopefully 2017 will be the year the swamp milkweed seeds take off, too. The more variety we can provide for summer-long habitat, the better. 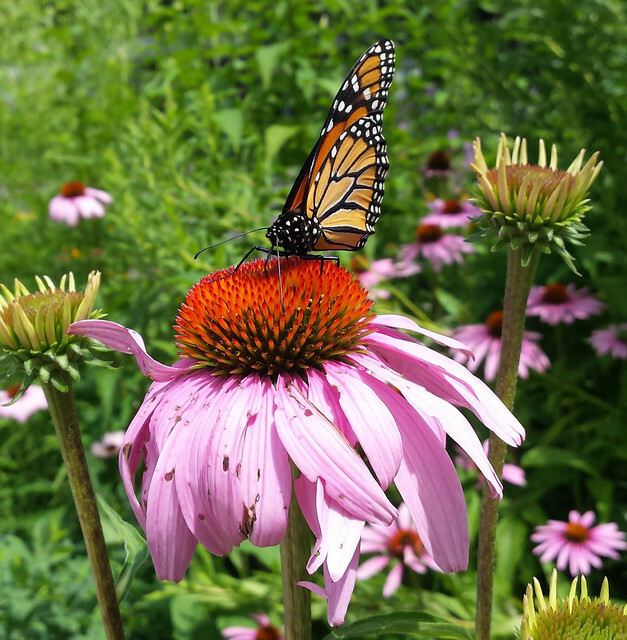 Posted in autumn, monarchs, summer.